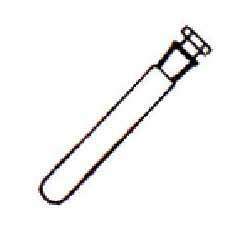 We are renowned manufacturer and exporter of Test Tubes of premium quality. These test tubes are fabricated using quality-approved raw material procured from reliable and trusted vendors. Our team of dexterous professionals fabricated these test tubes at our technologically advanced infrastructure using modern tools and latest technology. These test tubes are highly reliable as we strictly make them pass through various quality check process to ensure its high quality. 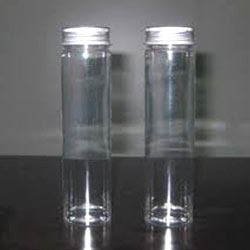 Offered test tubes are having high resistant against heat and are highly durable. 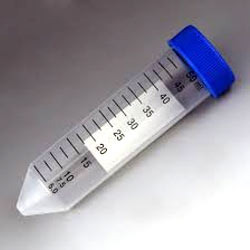 Customers can avail these qualitative test tubes in various, shapes, sizes and dimensions. Moreover we also provide customization facility to our valued patrons as per their given specifications. We are a coveted organization engaged in offering patrons a wide variety of Centrifuge Test Tubes that are widely used in hospitals, laboratories and by scientists. Our manufactured tubes are highly demanded nation wide and to meet the distinct demands of our valued patrons, we manufacture these qualitative tubes at very larges scale. These tubes are highly appreciated for its longer service life and high quality. Our team of dexterous professionals fabricate these tubes using high-grade tools and latest technology ensuring higher efficiency of product at customer's end. We have gain expertise in manufacturing and exporting Round Test Tubes that are highly demanded for various test and experiments in laboratories. These tubes are highly reliable as they are made under the guidance of expert professionals and are tested quality at different levels of production. Offered test tubes are fabricated using excellent raw material ensuring longer working life. These tubes can also be customized as per the needs and requirements of our esteemed customers. In our very large line of products we are offer an array of Glass Test Tubes. We procure borosilicate 3.3 glass having strong heat resistance to manufacture this range of consignments. 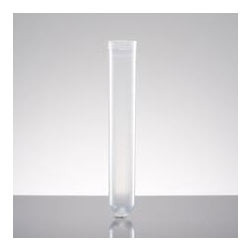 Customers can avail this array of test tubes in plain or graduated featured with a stopper. The diameters of the tubes is from 10 mm to 38 mm. Widely used for various laboratory tests and experiments, our tubes are manufactured with strict adherence to the set industrial standard norms and standard.